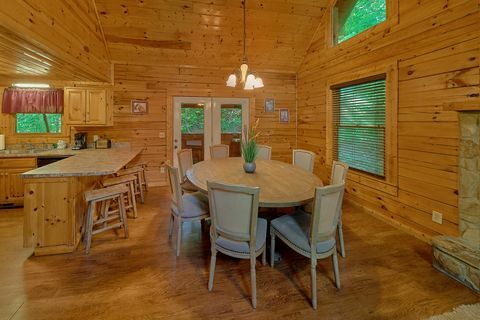 Cabins In The Smokies - "Cuddly Critters"
Cabins in the Smokies provide the perfect escape from the everyday routine as well as a chance to explore new adventures and create memories with friends and family you'll cherish forever. 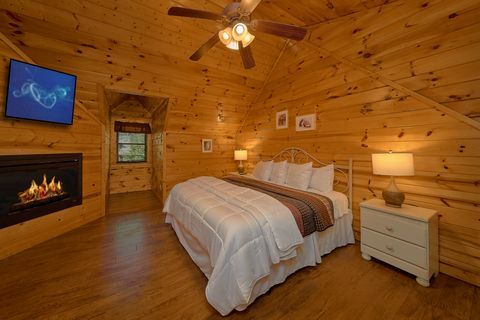 Check out our 4-bedroom Smoky Mountains cabin "Cuddly Critters," which places guests less than a mile off the action-packed Pigeon Forge Parkway. 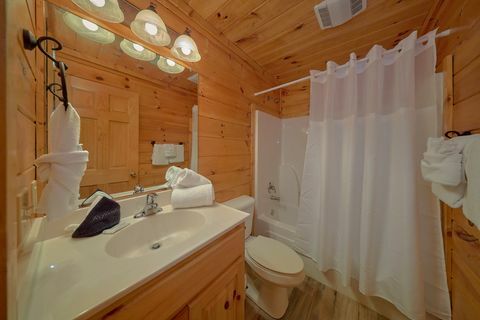 Your Smoky Mountain cabin's location in Mountain Park Resort in Pigeon Forge guests with quick access to area attractions as well as comfortable amenities. 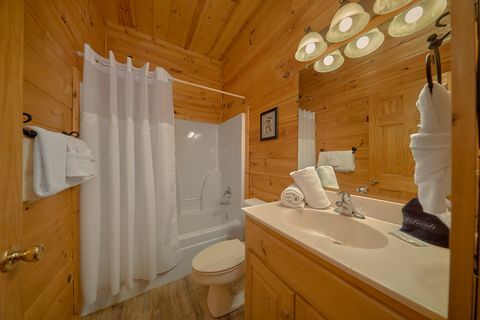 Enjoy the seasonal treats of resort swimming pool access in the summer and two fireplaces - one in the third level's master suite and one in the living room - for warmth and ambiance in the cooler months. 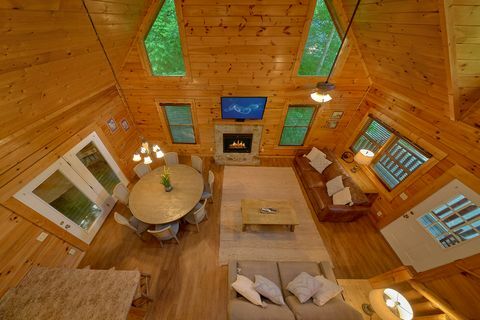 Throughout the year, guests will appreciate the free wireless Internet, which allows you to update friends on your vacation while you're away and stream movies and games in your cabin on lazy days in the mountains. 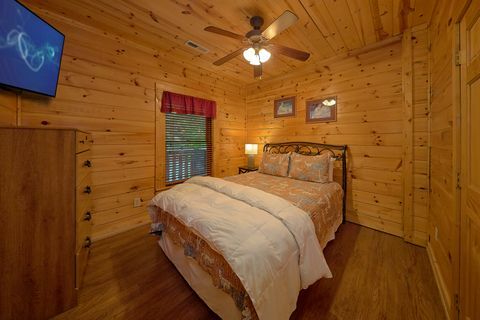 This cabin's 2 king suites each provide a comfortable king-size bed, in-room jacuzzi tub, full-size bath, and television. 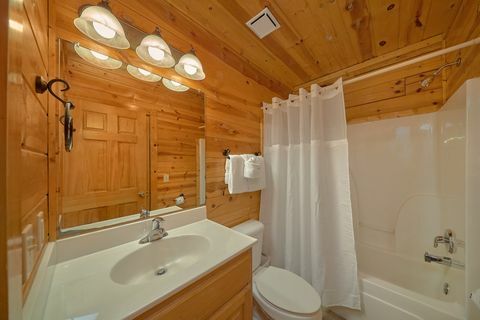 The third level master suite also offers gas log fireplace for added ambiance to your mountain getaway. 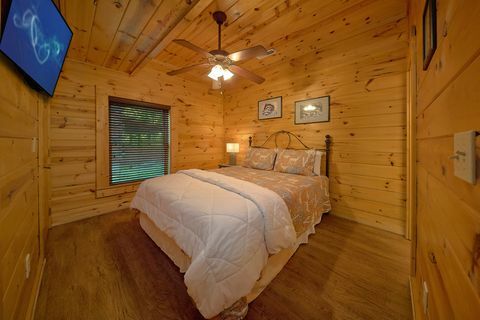 There are 2 queen bedrooms on the lower level and comfortable sleeper sofas, allowing this cabin to sleep up to 12 guests quite comfortably. 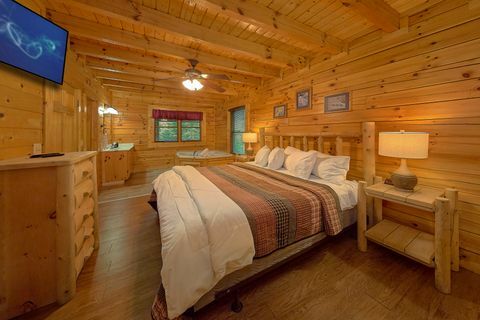 All of our cabins in the Smokies place guests close main Pigeon Forge attractions, and you'll find your Smoky Mountains cabin gives you more valuable time in the day to explore seemingly endless adventures. 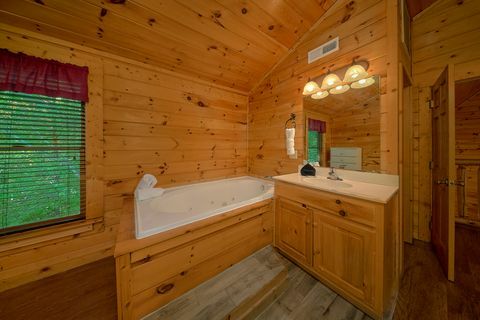 "Cuddly Critters" provides for lots of fun inside as well. 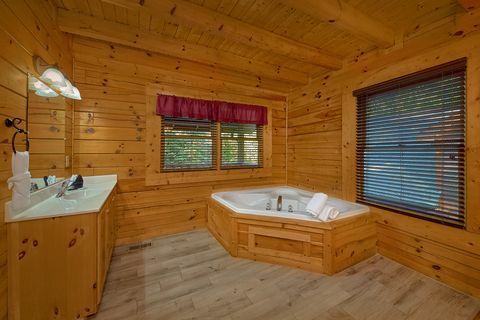 Play games of pool on the full-size pool table in the cabin's game room or take a soothing dip in the warm, bubbling waters of your family-size hot tub. 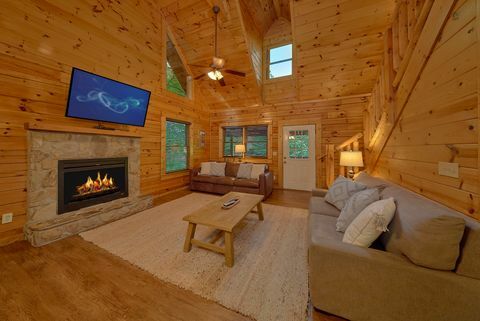 Just gathering in the living room to watch a movie with friends and families while enjoying the warmth and glow of your gas log stone fireplace can provide some of the simplest, most memorable moments on your vacation. 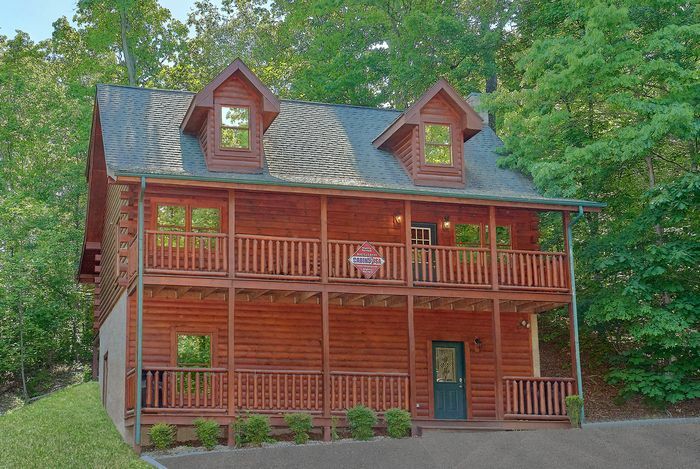 This cabin gives larger families and small groups everything they might need on their Smoky Mountains cabin stay. 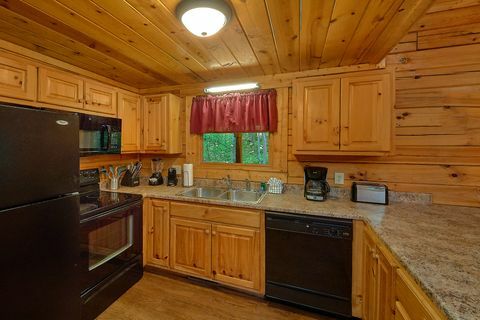 The cabin's fully equipped kitchen, outdoor grill, and washer/dryer provide your family or group with the comforts of home while remaining less expensive than most comparable Smoky Mountain hotels. Book "Cuddly Critters" or any of our wonderful cabins in the Smokies online and discover your immediate Online Savings!